I love Christmas time! I love remembering the birth of our Savior and teaching it to my kids. I love pulling out the nativities and Christmas movies. I love the food. I love making gifts for those I love. I love the snow in December and sledding. I love visiting the temple and seeing the lights. I do not love all the extra stuff that always gets added to the season. The white elephant gifts. The obligatory events. The last minute gifts you are required to give to people you don't know. But I guess you have to have the bad to appreciate the good. The year started out with a trip to Temple Square to see the Christmas lights with my friend Tenille. Our family friend was performing in a concert in the Tabernacle and it coincided with Tenille's visit so she was gracious enough to join us. 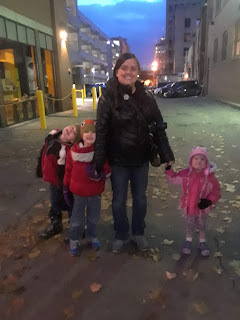 We listened to most of the concert, walked the grounds, drank hot chocolate and of course rode the train downtown (one of the kid's favorite parts of downtown Salt Lake). It was great! Tenille and I were also able to work on some Christmas gifts while she was in town and we introduced her to Sumorrito. This year Dave and I were put in charge of the Ward Christmas Party. It was a breakfast and super casual. The most work was the shopping and food prep (even though we didn't bake anything ourselves). I think we did a good job and were able to stay under budget while having many options so everyone's dietary restrictions were met. Every year I put together some type of service project as a way to remember and give back to the Savior. This year we collected clothing, blankets and towels to give the Road Home homeless shelter. We went through our clothes and home and were able to give a few trash bags full but we also collected from neighbors and friends in the area and were able to fill up the van completely one time and the car three times with items to help. It's always exciting to see how much good we can do! 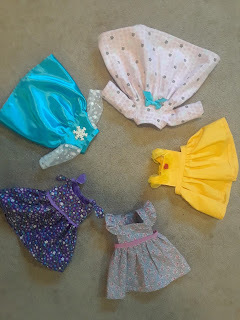 Also along the lines of service I was able to make 5 little doll dresses for a little girl from the Angel Tree. I also purchased some doll accessories that she requested (bottles, pacifier, eating implements) but these were so much fun to make! Makes me wish my little girl liked dolls. Some time in the middle of preparing Christmas gifts for neighbors all my food coloring disappeared. Well, all but the black. I still haven't found it. I had to break down and buy more because what are sugar cookies without colored frosting? I have suspicions of who made it disappear but have no proof. While my family was in town for Christmas we all went to the Natural History Museum of Utah. 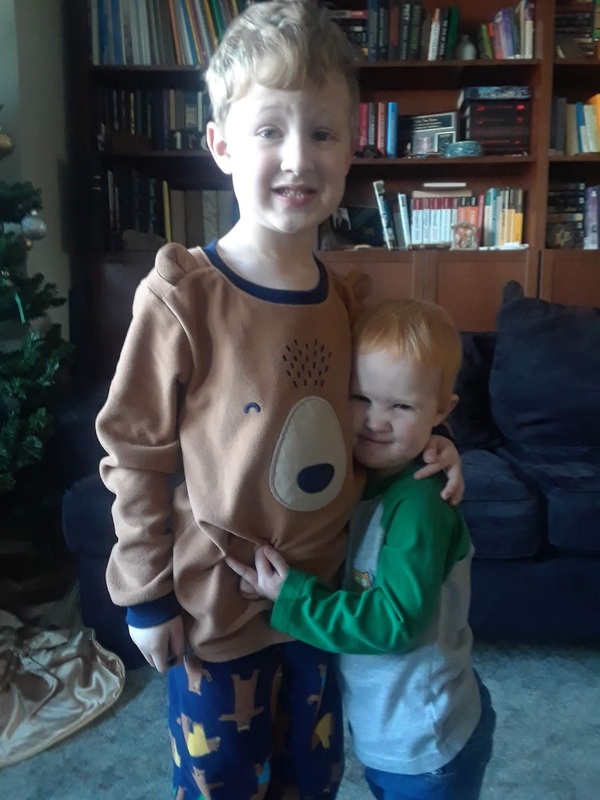 My parents got us a year long pass for Christmas and it was fun to check it all out with our cousins. We were there for about 2.5 hours before Brooklyn, Grandma Sheila and I headed home for nap time. The boys and Papa Mike stayed an extra hour or more to see the Bug Brigade (where you get to see and handle different bugs). It's a really fun museum with so much to see! I've been several times and each time I think I've seen it all but I always find something new that I haven't seen before. Christmas itself was an exciting event! 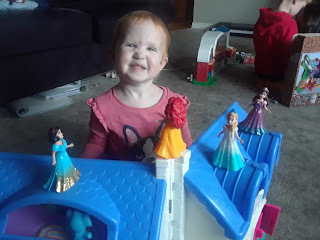 We got all kinds of fun toys and played and played all morning. We stopped by to visit Grandma Linda and Papa Bill as well. We actually made it out of jammies (which we usually don't do on Christmas). We had our traditional ham dinner with pie for dessert. I was going to do homemade pies, but while leaving the pie crusts out to cool some little boys decided it would be fun to crush and eat them. So we had store bought pies this year. Punks. The boys love legos so they of course got a few different sets of Legos. They also discovered Minecraft this year and were excited to find there is such thing as Minecraft Legos. 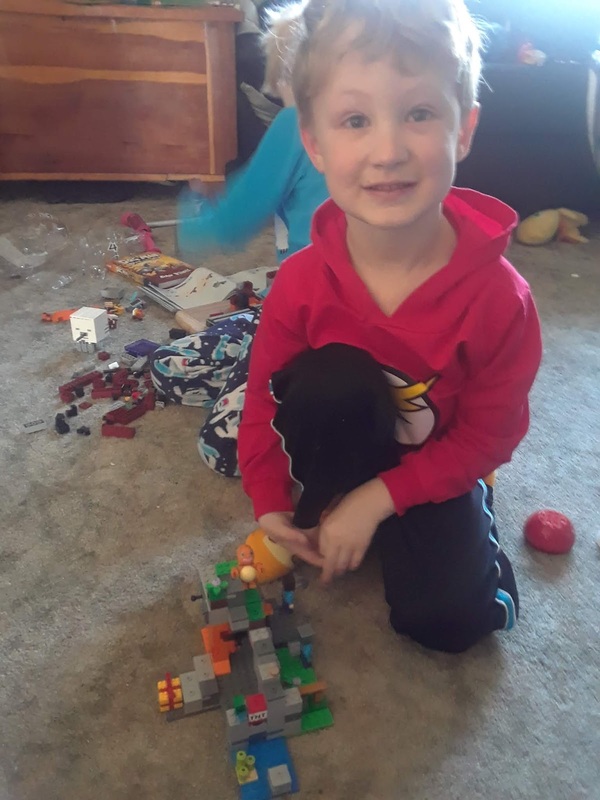 Logan's set is still put together from Christmas (it's almost the end of January). 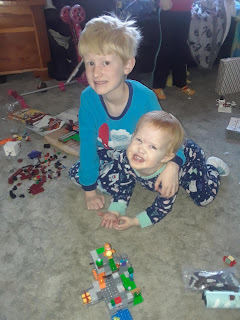 They love building! P1: What you want to do? 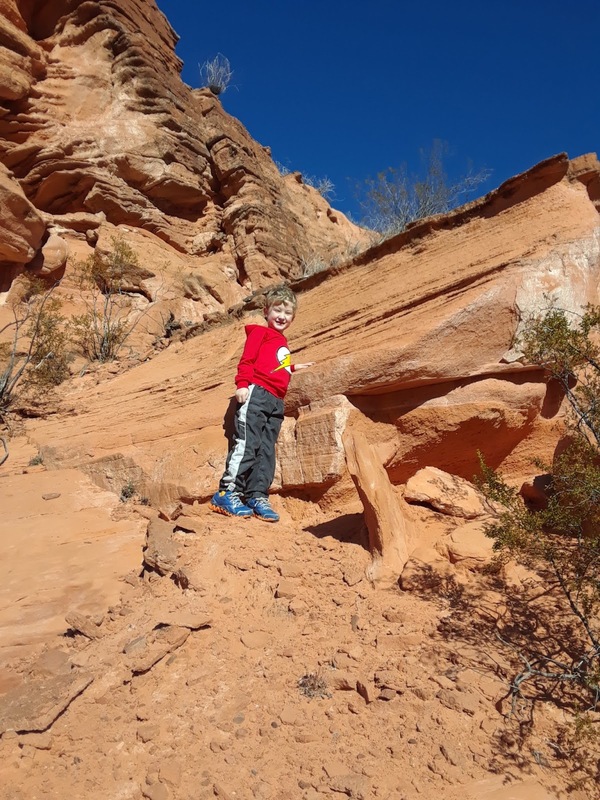 P2: Go on a hike! P4: Help! I'm falling! Save me! This went on for hours. She hasn't played with them much since Christmas but sure got a day's enjoyment out of them. Between Christmas and New Years we headed down to Hurricane to visit Great-Grandma Yoder. On our way down we swung by the Cedar City Temple. Since they started I wanted to see it, but haven't had the chance. So we walked around and checked it out. It's a lot smaller than I expected it to be but like all temples is beautiful. It was frigid cold when we stopped by so we didn't linger long (Logan didn't want to get out of the car it was so cold). While in the area we also swung by St. George to visit Great-Aunt Kathryn. She and my cousin Noah took us on a hike. The weather was in the 40's and perfect for a hike! Unfortunately we got lost and never made it to Elephant Arch. But it's always good to get out and enjoy nature. The boys were absolutely enamored with Noah! Her was so good and patient with them. He answered their questions and made up Choose Your Own Adventure stories for them while we hiked. Afterwards we went back to Kathryn's for a trip to the Hot Tub, played video games with Noah, checked out the one site play house, and had a pizza lunch. Dave got to talk running and health with Kathryn and Dustin decided Kathryn is pretty cute (better watch out Emil). It was great to visit with them and spend some time outside. 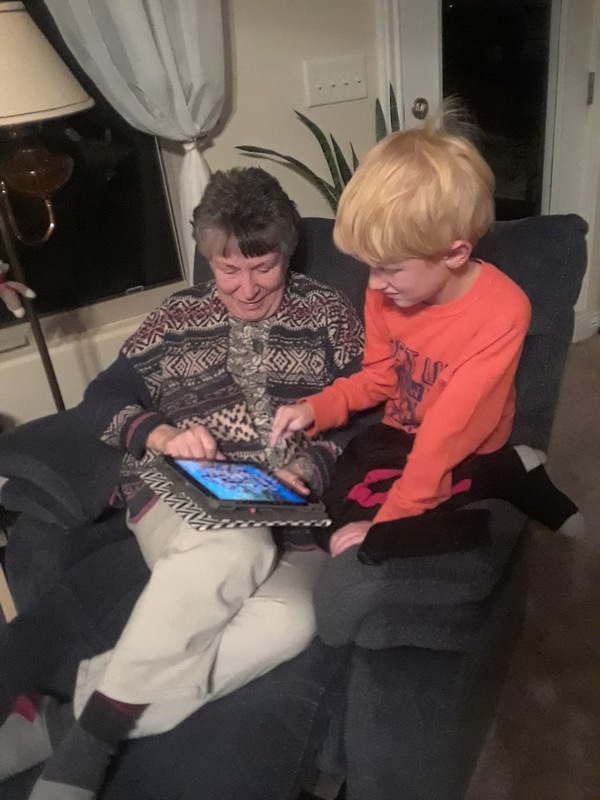 We had a great time visiting with Great-Grandma! She was so sweet with the boys. The boys drew her many pictures which completely covered her fridge. We visited the park with her and she taught the boys how to play Mahjong. 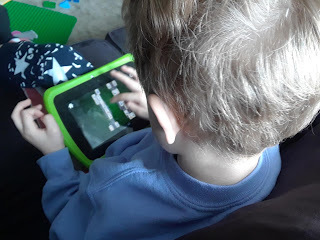 I have had to install it on both boys tablets so they can play. They're pretty proud of how fast they can match all the tiles. We also completed a 500 piece puzzle of animals in the Savanna. It was great to get to see her but we were also glad to be home in our own beds. 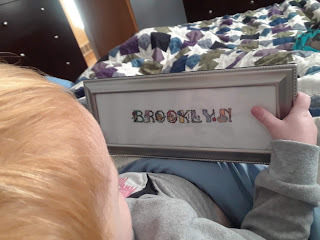 Great-Grandma made each of our kids a cross stitch of their names. All the kids LOVE them! They carry them around the house. I've found them on the book shelves in the living room, on the kitchen table, and even in the bathroom. Brooklyn especially loves that her cross stitch has not one but TWO owls on it! When she sees her picture she asks me to sing her name song (because she knows that's what is in the picture). Overall 2018 was a tough year. But by the end things were looking up for a great 2019!